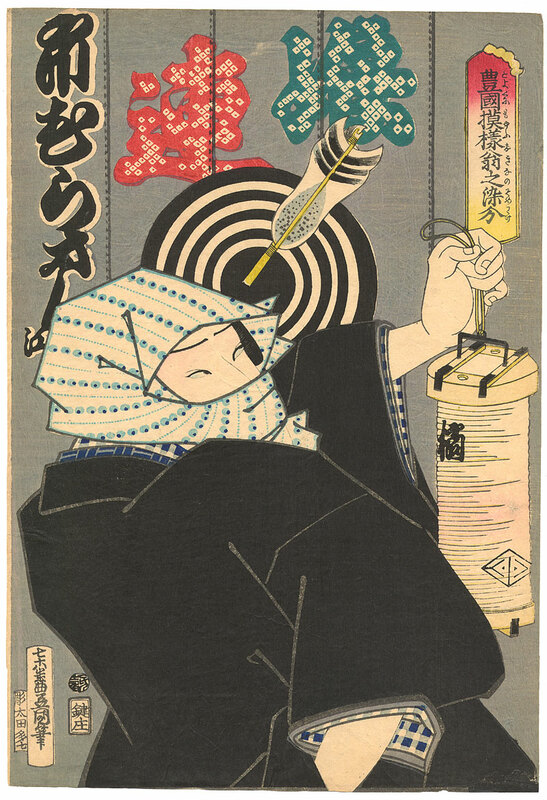 It's a print designed by Kunisada (aka Toyokuni III) and published in 1863. The series title is 豊国模様翁之染分 ("Toyokuni moyô ôkina no somewake"(?) – Dyed in many colors in the style of the old man Toyokuni).